The story of Alfred Nobel's life work and legacy, and his little known role in the discovery of dynamite. Alfred Nobel invented dynamite in 1867. 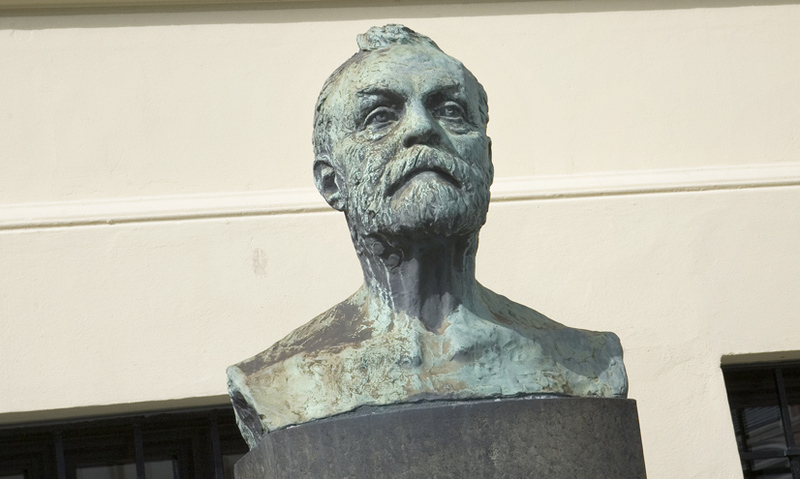 Alfred Nobel also founded the Nobel Peace Prize, which honors outstanding progress in science and peace. Nitroglycerin is a highly volatile liquid, which was adapted by Nobel to make it more stable and suitable for use in construction work. A detonator was invented for dynamite so explosions could be set off at a safe distance. Alfred Nobel was born in Sweden in 1833. He is best remembered for the legacy he left to honour progress in science and peace – the Nobel prize. But ironically, he was also the inventor of dynamite. Until 1846, black gunpowder was the only explosive available.